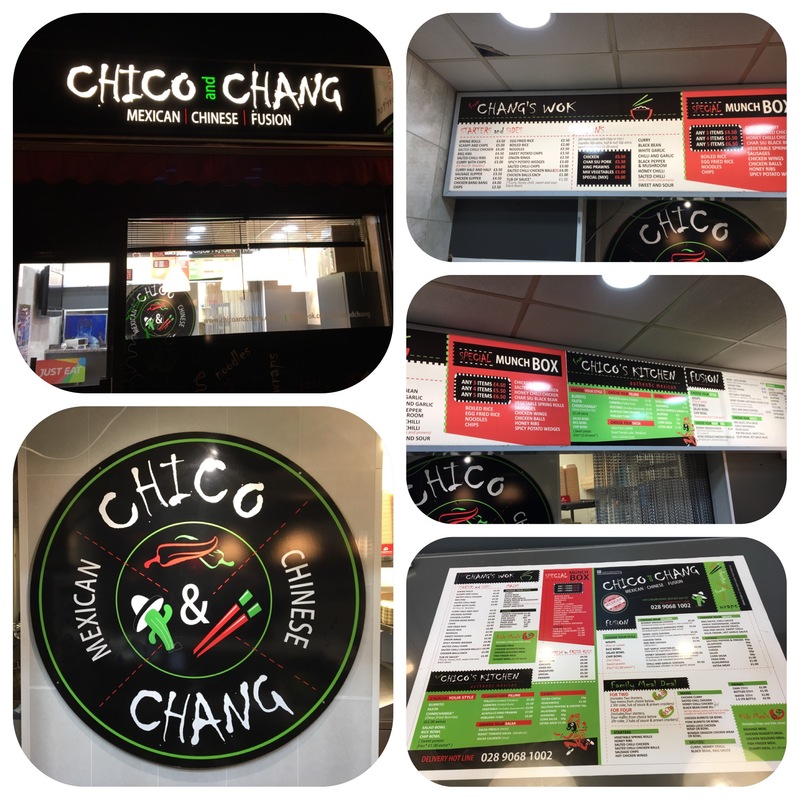 The newest West meets East- Chico and Chang takeaway has blasted off!! It’s ideally located on the Lisburn Road near Adelaide station, the Police and fire stations and good job too as the chillies are hot!!!!! Very clever and eye catching and moth watering menu. Whilst I waited I was treated to some delicious salt and chilli chicken. It was perfectly spiced but a touch dry!! 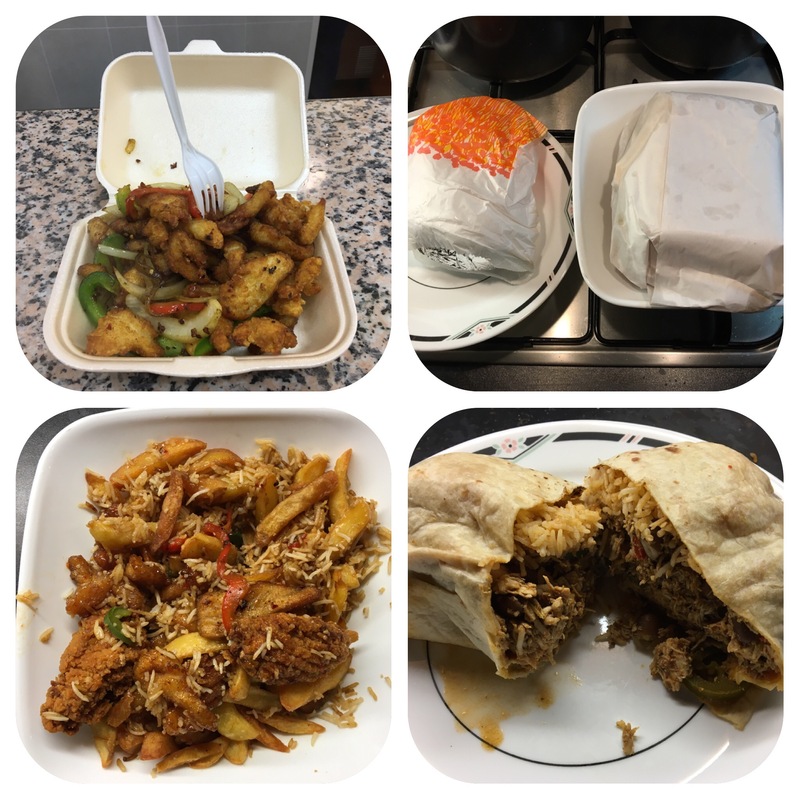 The main event was the mixed Chinese box of chips, rice, honey chilli chicken and hot wings. Also a proper meat filled chicken burrito with fresh beans……delicious. Better than some burritos around. They deliver and take tele orders- perfect for when you get off the train!!!! !